Celebrity dancer Anthony Sands with professional dancer Riannan Peterson. Front: Celebrity dancer Elizabeth Wenzel with professional dancer Margeaux Valee. Celebrity dancer Brandy Hershberger wins third place (left) with professional dancer Casey Nemec. Celebrity dancer Bob Massey with professional dancer Sarah McBride. To the left: Celebrity dancer Eric Loche with professional dancer Holly Legare. Celebrity dancer Pam Monnier with professional dancer Ali Gregoire. Eric Loche wins second place. Elizabeth Wenzel (center) learns of her first place win. From the left: Anthony Sands, Elizabeth Wenzel, and Wenzel’s professional dance partner Margeaux. Brandy Hershberger wins third place. Dancers line up to hear the judges’ decision. Judges sit at a table, ready to watch dancers perform. From the left: Sherry Moody, Mike Riley, Liz Green and Danny Nix. Elizabeth Wenzel (left) learns of her first place win. To her right, Wenzel’s Professional dance partner Margeaux Vallee. 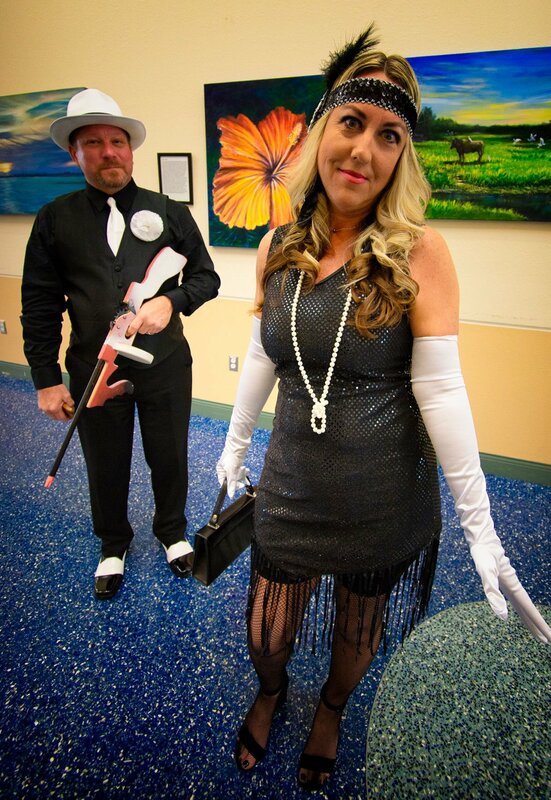 The 11th annual Dancing with the Charlotte Stars was held on Friday, March 8 at the Charlotte Harbor Event & Conference Center. As the largest fundraising event for Charlotte Arts, proceeds from Dancing with the Charlotte Stars are used to support local programming, including Art in Public Places, Artist of the Month, the Charlotte Arts Gallery, the Arts in Education grants, an annual student scholarship, awards to the graduating high school art contestants, and more!